is an incredibly dynamic and versatile sport. Despite it being regularly touted as “for everyone” and that “anyone can do it”, it can be quite a harsh sport. You come home from training with aches and pains everywhere. Your joints hurt, your skin stings from gi burns, you have cauliflower ears, you have random bruises popping all the time and you have no idea how you got them. It can be very tough on you both physically and mentally. Protein powder is the staple supplement. Regardless of what you train and how you train, everyone should have a tub of protein powder in the cupboard. Even if you don’t train, better to have a protein shake as a snack rather than junk food. Each scoop of this MusclePharm Combat protein powder provides a solid 25g of protein. This is a good amount as most tubs provide around 20-22g at most per scoop. And that’s not including all the other goodies that MusclePharm throw in, including BCAA’s, glutamine and digestive enzymes to help you better digest that protein and repair your muscles. There are ten great tasting flavours to choose from as well as various sizing options. As protein powder is basically mandatory if you take your training seriously, you can opt for the larger sizes knowing that it’s not going to go to waste. When you’re training as hard as you possibly can, day in and day out, your muscles are going to break down on you. Even with the perfect diet and a good amount of rest, it may not be enough to really thrive. Simply taking BCAA capsules can prevent muscle breakdown and give you a noticeable energy boost which you wouldn’t otherwise have. Dieting is a big part of BJJ and MMA, where you have to lose weight and then cut weight to make sure you fight in the right weight category. BCAA’s can help spare your muscle, so that it’s the useless fat that is lost rather than vital muscle tissue. If you practice Intermittent fasting as part of your dieting protocol, or just general lifestyle, BCAA’s are recommended to prevent muscle wastage and weakness. Optimum Nutrition provide you with all of your BCAA needs in one handy bottle. Capsule form is also a good choice as the powders can be extra fuss you don’t need as well as often tasting awful. Creatine is one of the safest and most effective supplements that you can take to improve your performance on the mat and in the gym. Whilst the other supplements on our list are more supportive in nature to help aid recovery, creatine is the one that drives you forward and gives you a noticeable edge. The science behind it is not important. All your know is that it is safe to use and gives you that vital edge over your opponents. This is because creatine allows your muscle to contract harder and longer. In weightlifting, this means that you can break your muscle fibres down more so they can grow bigger and stronger. 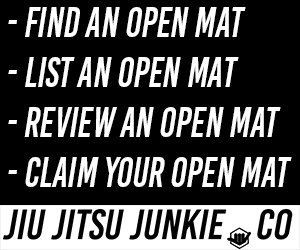 In BJJ, it means that you have that bit more strength and stamina that may be the difference between you winning and losing that important match. Like the BCAA’s, this creatine product is in capsule form which is easier to take and keep track of than the powder form. Omega 3, often is the form of liquid fish oil, is a very common health supplement that has been in use for years. Having the correct amounts/proportion of omega 3, 6 and 9 is vital in keeping your heart healthy, your joints well-lubricated and just general helps you body run the way it should. Nordic Naturals is one of the few companies that sells capsules that actually have a good amount of Omega 3 in them. You’d be surprised at the amount of high street omega 3 supplements that have a disgustingly low amount of omega 3 in them. Nordic Naturals provides you with all the omega 3 you could possibly need but without emptying your wallet. Omega 3’s joint-lubricating properties are especially important in the realms of BJJ, where your joints and ligaments are pulled, twisted and tweaked a hundred times a session. If you want to train hard and you want to train long-term, keep your cupboards well-stocked with this bottle. You have no doubt heard the phrase “5-a-day”. This is in relation to the claim that you must eat 5 pieces/servings of fruit or vegetables a day to retain optimal health. Apparently, this claim is false. You should be eating at least 9 servings a day. Authorities in charge felt that telling people to eat 9 servings a day was too much to ask so lowered it to 5. The point is, is that most people do not eat enough fruit and vegetables. Not on a daily basis, probably not enough on a weekly, most likely not even on a monthly basis. Whilst it’s definitely important you incorporate more micro-nutrient rich foods into your diet, it’s also important that you supplement the inevitable deficiency with a solid multivitamin. Like this one from Arbor Hill Health. One bottle of the Wholefood Power Daily multivitamin will provide you with enough vitamins and nutrients to supply your body with everything it needs to function at the highest level on a daily basis. With BJJ, technique is king but technique isn’t everything. Again, despite what people say. If you take BJJ seriously and your progress seriously and if you wish to compete and actually be competitive then you have to make sure you’re taking care of your body and giving it what it needs to both survive and thrive in the harsh environment you’re subjecting it to. Sometimes rest and good food just aren’t enough to allow to recover and improve. It’s not enough to just be strong, it’s not enough to just be fast and agile, it’s not enough to just be flexible and it’s not enough to just be technically sound. You need everything and this requires you to supplement in certain areas to ensure that you’re meeting all these requirements. Funnily enough, the best way to supplement these areas can be with… supplements. Due to the varied requirements of BJJ compared to something like weight-lifting, there are a wide variety of supplements that you can, and should, take to really provide your body with everything it needs to function at it’s highest level. 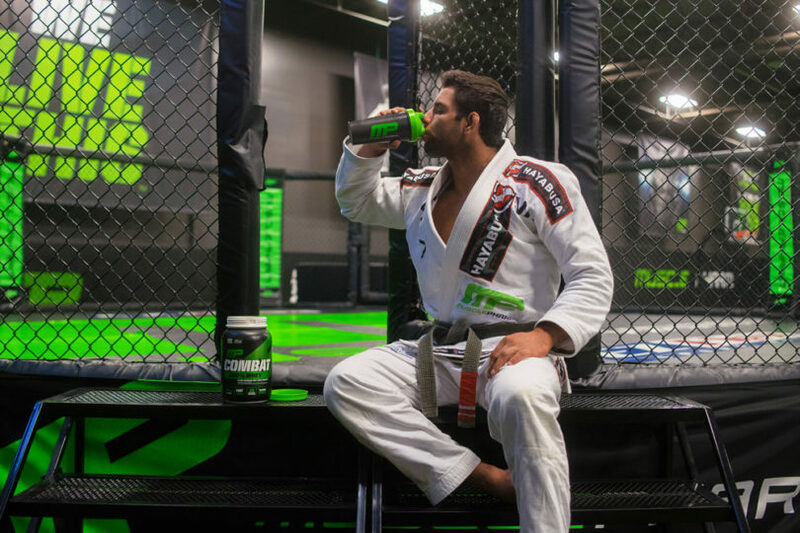 If you want to perform at the highest level in the BJJ arena, you need to supplement. Yes, you’re diet, training, rest and recovery must all be in order, but even if you perfect all those areas, it’s not going to be enough. To really go that one stop further and ensure that you’re doing everything you can, stock up on the above supplements and watch yourself thrive.